The Liberals are trying to argue that they are the party which is really consulting people and casting both the Conservatives and the NDP as unreasonable ideologues. If the Liberals want to really distinguish themselves from the other parties one really good way could be by making the party very open. We're talking more than a couple polls by email but a collaborative, ongoing discussion with party supporters. A discussion which explicitly guides party policy in a very detailed way, day to day. Mark Crowley Big Data. Big Decisions. Big Ideas. 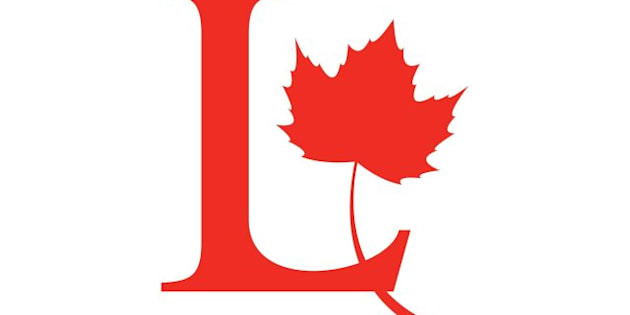 Here's a short survey from the Liberal Party on foreign ownership rules for natural resources. There are two interesting things about this. First, foreign ownership of our natural resources, especially by state corporations of other nations, is an important issue Canadians need to talk about more. I'm not especially knowledgeable about it so I won't say any more, feel free to discuss in the comments and educate me though. The second, meta-issue here is openness and political party policy. The Liberals are trying to argue that they are the party which is really consulting people and casting both the Conservatives and the NDP as unreasonable ideologues. I'm not convinced of that yet, but it might be a good strategy for them. Personally, I don't think the Liberals should spend so much of their time demonizing the NDP as they do. As I see it, the Liberals, the NDP and the Green Party all have more in common than they do with the Conservatives and they all agree entirely on one important issue which is that the Conservatives should not win the next election. So it seems like attacking each other should be lower on their priority list than other concerns. But it's a complicated situation. Bearing that in mind, if the Liberals want to really distinguish themselves from the other parties one really good way could be by making the party open, and I mean very open. We're talking more than a couple polls by email but a collaborative, ongoing discussion with party supporters. A discussion which explicitly guides party policy in a very detailed way, day to day. With all the computing tools and ability to get feedback quickly through email, polls, Facebook, Twitter and Google+, it is really possible to run a political party that consults constantly on an issue-by-issue basis with their members. To be clear, I'm not proposing a system where the parliamentarians have their speeches crowdsourced and their every vote mandated by a Facebook poll. Democracy is about discussion and compromise, we need to trust our representatives to do the work and make hard choices and trade-offs in our interests. However, there is no reason we can't set up a system where they check in with us frequently, even weekly on all sorts of topics to guide their decisions. These wouldn't be polls run by a separate institute and biased towards different population segments. It would be a direct discussion online with the members or supporters of the party. The elected representatives would still have the freedom to act as they wish, but they'll have nowhere to hide when the website has all the direct poll results and their actions of those members in parliament. Ideally, each poll or question would be logged with a discussion thread where the MP would be expected to respond with what decision they made and if it differs from the consensus, why it does. This would be a safer route than direct democracy where voters essentially write laws and tie the hands of legislators which has proven to cause more problems than it solves, at least as it has been used so far in Canada. consultative party democracy. It will need to go far beyond a few email polls to make waves, but there is nothing stopping them. We'll see if that's what they follow through or not. What do you think? Would this kind of collaborative policy consultation be enough to give the Liberals a chance again?